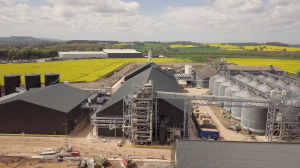 The new UK rapeseed crushing plant near at Stratford-upon-Avon is now in its commissioning phase, and is expected to be fully operational from the first quarter of 2019. A branded bypass protein meal will also be available from the rapeseed meal co-product. The RCMA Group’s new rapeseed processing plant has been built at Camgrain’s Stratford APC site at Atherstone-on-Stour. RCMA is a Singapore-based independent energy and commodities trading house chaired by former Cargill grain and feed trade executive Doug King. It says the project will help meet increasing demand for sustainable protein sources and rising consumption of rapeseed oil by health-conscious consumers. Crushing operations being scaled up very gradually, allowing the business to test the output products and release them in limited quantities. The £25m plant is funded and owned by RMCA, which will operate the facility as RCMA Stratford. The mill has an intake capacity of 100,000 tonnes of seed, supplied by Frontier Agriculture via Camgrain. It will produce up to 40,000 tonnes of feed grade and refined edible rapeseed oils plus 60,000 tonnes of rapeseed meal each year. 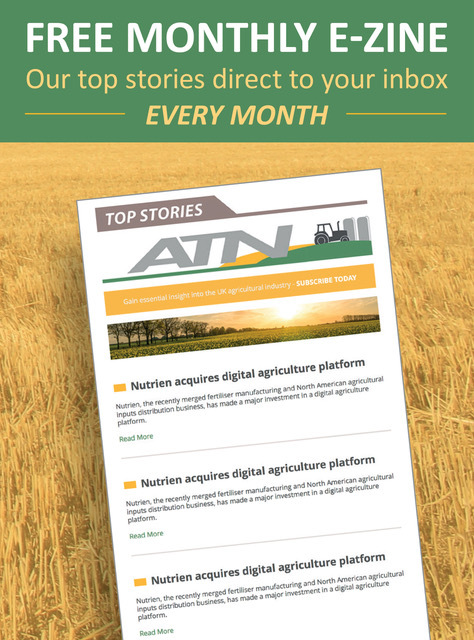 Some will be processed into a branded rumen-protected protein feed product called NovaPro, with the rest marketed as a standard expeller cake. Uniquely, the new mill extracts the oil from crushed seed using a mechanical process, rather than the traditional chemical extraction using solvents. Trident Feeds, which will market the Stratford rapeseed meal under the NovaPro brand, says this will differentiate the output on the feed market. Production is currently limited, until the associated on-site oil refinery comes onstream in the new year, when the volumes of NovaPro will increase. “Not only is the plant processing 100% UK-grown rapeseed, it’s providing dairy producers with a reliable and consistent protected protein source not previously produced in the UK,” says Mr Cross. “This high protein, high energy animal feed is a viable and sustainable alternative to soymeal. The Stratford investment includes a biomass-fuelled combined heat and power plant using UK forestry residues and offcuts to meet the site’s internal energy needs. 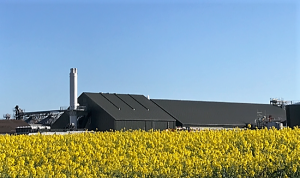 RMCA claims the plant is the first new rapeseed processing plant in the UK since the 1980s, and one of the most energy and carbon-efficient.